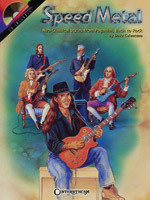 In an attempt to teach the aspiring rock guitarist how to pick faster and play more melodically, Dave Celentano uses heavy metal neo-classical styles from Paganini and Bach to rock in this great book/CD pack. The book is structured to take the player through the examples in order of difficulty. 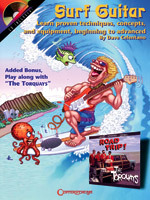 This totally tubular book/CD pack gives you all the tools to play convincing surf guitar, covering concepts, techniques, equipment and even surf slang! At the core of the book are six original surf songs by The Torquays. You can play along with these six tunes on the accompanying CD, and for each one, the book includes a transcription, lesson and analysis. At the beginning of the 20th century, the tango was born in Buenos Aires, and it was a style that spread dramatically all over the world. Tango is a dance, a rhythm and a characteristic musical color. 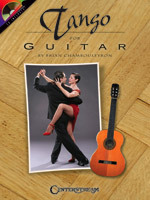 The 13 solos in this book were written especially for guitar by award-winning composers Jorge Polanuer and Brian Chambouleyron, and each tune is performed on the CD by Brian, one of the most popular guitarists in Buenos Aires. The solos are presented in different degrees of complexity � tune up with the tuning notes on the CD and play along with the tangos, milangos, waltzes and even a guitar duet. The songs are also repeated on the CD without the lead for you to play the solo part. 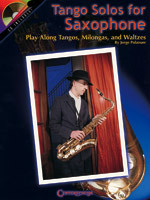 Argentinian author, sax player, composer and teacher Jorge Polanuer says in the intro to this book, "Tango is not for the spineless." So, if you're feeling brave and ready to unleash the emotion of this passionate music, get your sax and play along with the 12 great tunes in this book! The CD features full recordings of Jorge and his saxophone quartet "Cuatro Vientos," plus accompaniment-only tracks. For tenor and alto players. This breakthrough guide for guitarists will unlock some of the mystery behind playing over chords and progressions. Working through this material and these concepts will help any guitarist learn how to play the right notes, at the right time � all the time. 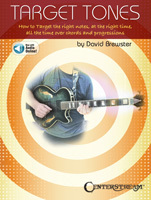 Each chapter centers around a different chord type and progression and includes various soloing concepts, phrasing options, and melodic approaches to playing over chords in both major and minor keys. This includes playing over major and minor chords and eventually moves into 7th chords and their extensions. Includes access to musical audio examples online.